Hey, there. I'm Sally, and I'm a tenants' rights attorney living here in Bushwick. Bushwick Daily asked me to weigh in on some issues that affect Bushwick tenants, so I'm going to respond to a reader question that came in recently. (See disclaimer below--I AM NOT YOUR ATTORNEY). If you've been living in this neighborhood for any length of time, you've either had or heard of plenty of crappy landlords. Since the demand for apartments here has risen so dramatically, these dirtbags will do anything to raise the rents. They don't lose sleep evicting old ladies, families with 7 children, or just nice people who happen to have low rent. Dealing with these guys compels me to try to get information about tenants' rights out there as much as possible since the less people know, the more damage a ruthless landlord can do. A lot of the newer Bushwick residents are being overcharged by a lot and don't know it. That's because there are still a lot of rent-stabilized units out there, and no matter what your landlord says or what your lease says, if your unit is rent stabilized, you're entitled to only minimal rent increases. This actually happens so often that it's one of the reasons I decided to get on the internet to talk about these things. I get really sick of answering individual questions about what the law is when I'm out and about in the neighborhood, which is inevitably what happens if I tell anyone what I do. Anyway, to respond to the reader question... One of the readers wrote in around the 4th with a question about rooftop usage. In Bushwick, only a few of us live in a building with a backyard, so this means the neighborhood sees a lot of barbecue sidewalk and rooftop action. 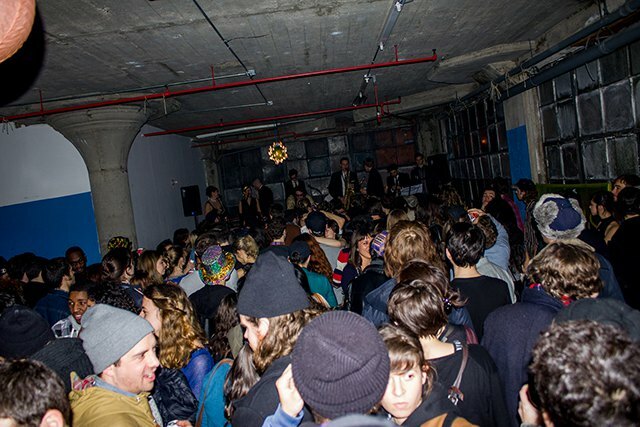 Are you allowed to party on the roof of your Bushwick building? The letter raises two issues: to what extent are you allowed to party on the rooftop of your building, if at all; and can a management company restrict the number of guests that you can bring over to your building or ask you to give up information about them. Generally speaking, use of your rooftop is dictated by the terms of your lease. Even if everyone has been using the roof to the knowledge of your landlord, if your roof isn't built with an official deck and the fire protections that come with that, and/or the lease says it's off limits, your landlord is within his rights to ask that you not use it. Regardless of what your lease says, use of a propane grill on a roof in NYC is prohibited by the Fire Department of New York. Can a landlord restrict the numbers of guests that want to visit a tenant, or force the tenant to give up their personal information? As all good lawyerly answers begin, "it depends." It depends on what the tenant proposes to use the apartment or common areas for with his/her guests. As a general rule, residential leases prohibit business use of the tenant's premises. The use of a residential premises for business purposes in violation of a lease can be a basis for eviction. (Some cases have found the business use ok depending on its impact on the building as a whole or its consistency with the residential use of the apartment). So, if there are a lot of guests coming and going in what appears to be a business enterprise at the building, that could be the basis for a legitimate objection by the landlord. In addition, where the tenant and her guests are breaking the law, or there are an excessive number of guests over all the time, the landlord has a lawful basis for eviction. Also, this entire answer goes out the window if you're living in a public housing complex. That being said, a normal number of guests is totally allowable and I've never encountered and my research does not show any valid reason for a landlord demanding to know the names of the guests. I would bet his demand to know could constitute part of a claim of harassment. Now, the steps you have to take to win a harassment claim is the subject of another entire blog post. And now, send your questions about your living situation to Sally! Was that dry enough for you? You're welcome. Send in your tenants' rights questions to sally@bushwickdaily.com. * I've worked for five years in Bushwick at neighborhood community org and now I'm a staff attorney representing low-income tenants throughout Brooklyn at another nonprofit organization based in Downtown Brooklyn. I can’t give you legal advice that is specific to your situation through the internet. If you want legal advice specific to you, you’re going to have to find an attorney. An excellent resource for finding an attorney is the New York City Bar Association at (212) 626-7373. I will take questions about your issues and respond with general information about the state of the law in that area. I can only address these issues to the best of my understanding given my education and experience. Some other attorney may have had different experience and I encourage anyone else familiar with tenants rights to post additional information in the comments section. You should not rely on this information; you should consult an attorney. Finally, the views that I’m expressing here are mine alone and do not represent the views of my employer.